Chapter 100 - Monuments, Memorials and Parks. Article 1 - Approval and Protection of Monuments, Memorials, Works of Art, etc. § 100-1. Repealed by Session Laws 1973, c. 476, s. 48. § 100-2. Approval of memorials before acceptance by State; "work of art" defined. § 100-3. Approval of design, etc., of certain bridges and other structures. § 100-4.  Governor to accept works of art approved by North Carolina Historical Commission. § 100-5. Duties as to buildings erected or remodeled by State. § 100-6. Disqualification to vote on work of art, etc. ; vacancy. § 100-8. Memorials to persons within 25 years of death; acceptance of commemorative funds for useful work. Article 2 - Memorials Financed by Counties and Cities. § 100-9. County commissioners may protect monuments. § 100-10. Counties, cities, and towns may contribute toward erection of memorials. Article 3 - Mount Mitchell Park. § 100-12. Roads, trails, and fences authorized; protection of property. § 100-13. Fees for use of improvements; fees for other privileges; leases; rules. § 100-14. Use of fees and other collections. Article 4 - Toll Roads or Bridges in Public Parks. Article 5 - Flagpoles and Display of Flags in State Parks. § 100-17. Flagpole to be erected in each State park. § 100-18. Display of flags. § 100-19. Donation of flagpoles.